Link House Farm is an award winning self-catering holiday accommodation provider located on Northumberland's picturesque coast. We have 21 beautifully well-appointed and comfortable holiday cottages available to rent throughout the year. Ranging from traditional farm cottages, a selection of newly developed stone-built holiday units and a cosy timber lodge. Link House Farm will surely have a cottage perfect for your needs. 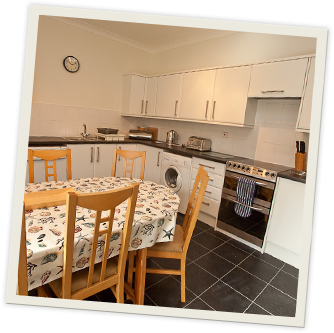 Please take a look at our Accommodation section to discover more and book through our agents online. Situated only a stones-throw from the golden sandy beach of Low Newton by the Sea on Northumberland's picturesque coastline, Link House Farm is the perfect seaside base from which to explore this wonderfully varied county. The beach is wide and gently sloping, making it ideal for the whole family to kick off their shoes and enjoy a paddle in the clean, blue waters. Link House Farm is a truly special place, which is why many of our guests return year after year. Fantastic cottages in a spectacular location - that's the Link House Farm promise!